Dear Ambassador, We are witnessing the genocide of Rohingyas of the Rakhine state of Burma and yet doing nothing to stop this crime unfolding in front of us. It is a painful reminder that some 70 years after the UN had issued the universal declaration of human rights, still such lofty goals seem so out of reach to so many of our humanity! The published news reports from the UN Refugee Agency suggest that some 123,000 Rohingyas have fled to Bangladesh from Burma. 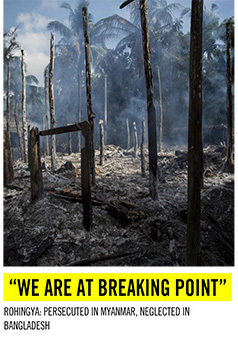 A much larger number, estimated to be close to half a million have seen their homes and everything burned down by government forces there, aided by local fascist elements within the general Buddhist public and laity. The victims of the latest pogrom, which I continue to say genocidal crimes, are hiding in the forest or living in no-man’s land between the two countries. 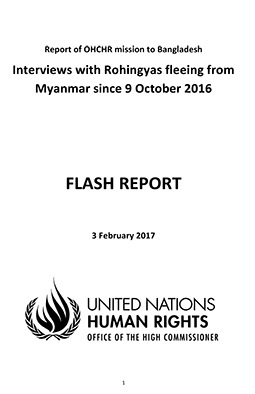 News reports also show the consistency of the allegations made by the fleeing refugees against the Myanmar government forces of having committed serious crimes against humanity. Like most concerned human beings of our planet, I wanted to believe that with Ms. Suu Kyi in power things would turn for better inside Burma. Alas, I was so wrong to now see how things have simply become worse for this persecuted and repressed minority with no rights in the land of their birth. It is a sad story. Shame on our generation to let such gruesome crimes go unpunished! I am very saddened to see inaction from the world leaders (minus a few) who seemingly are unconcerned about the genocidal crimes of the Myanmar government and its military. As the US ambassador to the UN, I am sure you are better informed than most of us about the gravity of the deteriorating situation there and how the heavy handed criminal responses of the Government forces of Burma since 2012 have contributed to the climax we face now. You are also aware that such measures pursued to this day by the Myanmar government can create permanent instability affecting the entire ASEAN and South Asian region and beyond. The government of Burma must be stopped from carrying out evil policies that are harmful to the entire region by threatening peace and security. 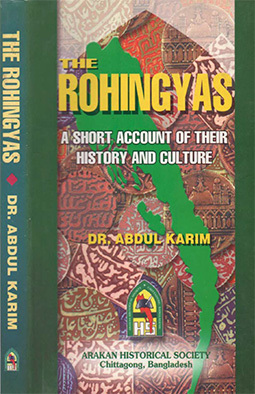 The right to live in one’s homeland is a fundamental right, which continues to be denied to the persecuted Rohingyas in the Rakhine state, and needs to be addressed by the Burmese government – something that has been reiterated by Mr. Kofi Annan. If Suu Kyi’s government fails in this urgent task the international community needs to take the matter to the UN Security Council and find ways to sober the government of Burma. That is the choice that civilized world has in dealing with a rogue government that defies commonly respected international laws. The sooner the better! Dear Ambassador, as a fellow US naturalized citizen of South Asian heritage, I would like you to champion the cause of the Rohingya people within the UN to save them from extinction. Without your prompt engagement in the UNSC, I am afraid we may see the end of this most persecuted people in our time. We shall then never be able to excuse ourselves from the guilt and shame of not doing the right thing to stop this ‘slow genocide’ (to coin Prof. Amartya Sen). Already more than half the Rohingyas of Burma have been forced to live as unwanted refugees outside their motherland. We can’t let a rogue state to take advantage of your preoccupation with the North Korean nuclear crisis while it commits crimes against humanity to ethnically cleanse the territory of the last vestiges of a marginalized and persecuted people that trace their origin to the time of the Chandra Dynasty more than a millennium ago. Please, help the Rohingyas of Burma to survive and live as equals in the 21st century, and surely not as a forgotten people – ignored by the world leaders who had other priorities than to saving the Rohingya people. ‹ Why is India threatening to deport its Rohingya population?